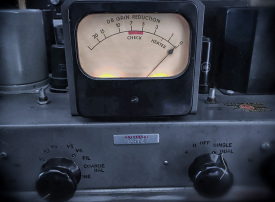 Vintage gear has a special place in the hearts of many studio engineers. Nothing can replace the sound, feel and smell of classic gear. 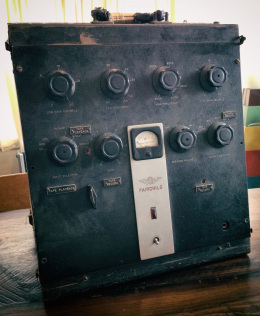 This week we asked ten pureMix mentors “What is the oldest piece of gear in your studio and what's the history behind it?” Many of their favorite pieces look like old war relics and are truly one of kind units. FIRST - it’s not mine, I wish! It’s an RCA BA6A, it belongs to my studio partner in crime. This thing is REDONKULOUS on everything! Drums, Drums Sub, Mono Overhead, Vocals, Bass, Guitars. AKA BIG FAT TUBE WARM GOODNESS, in an 8 space rack. Even if you just run a signal through the BA6A and don’t compress, just the tone of the output transformer will make your day much brighter and the world a better place. I have a Sequential Prophet VS rack that I bought in Poland from a weird store in Krakow that sold stuff seized at the (still fairly closed) borders. They had no idea what it was (no keyboard). I think I paid the equivalent of $100, which was something like 8 gatrillion zlotys. It was the end of a tour and we had gone to watch the most amazing Chopin recital outdoors in a park and the tour manager just announced that we had gotten paid in zlotys, which were not convertible, and that we had the rest of the day to spend everything we made during the tour or we'd lose the whole sum. I randomly walked into the store and saw the Prophet. I ran back out and convinced everyone to give me their zlotys and bought the beast cash with a big pile of bills. I still use it. Ridiculously thick pads. Worth way more than 8 gatrillion zlotys. If anyone knows where I can find that little screw-on decorative ball goes at the end of the joystick and a replacement encoding faders, let me know. It’s an amplifier from the early 70s: Pioneer SA-8100. I use it to power NS-10s and other passive monsters that I get my hands on from time to time. My grandma won it on a raffle in the year I was born, but she didn’t want to replace her Radiola yet, so she sold it to my dad who paired it with some 4-way Akai speakers. I grew up listening to it and got fond of its powerful clean sound and its super sweet EQ: Baxandall at 100Hz and 10KHz and shelves at 50Hz and 20KHz. If that sounds familiar it’s because they are very similar to some blue and gray massive EQs on your studio. Also, that loudness button on old receivers loves big drums and so many people got so used to it that eventually became a sound rock engineers kept chasing in the studio. I also used it for a while to amplify electric guitars and bass (yes, it has two Hi-Z 1/4 inch inputs) back when I started doing rock in Colombia. Blew it a couple of times and restored it back to its glory. That’s when my dad decided to get a new amplifier and leave this beauty to me. I have a minty fresh pair of NS10s that I've owned for about 12 years. They're almost brand new looking because I don't actually use the damn things. I have much less irritating speakers to work with. The reason they're still on my desk is because something about the way they look makes me feel like an engineer. 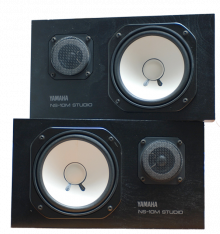 I mixed on NS10s for years and remember being surprised when any major studio I worked in didn't have a pair in every room. The idea back then was if you could make a mix sound great on those crappy boxes, then it should sound good everywhere. We've come a long way from those days, thank Zeus. I hate those things! It is an early Fairchild mobile studio, one mic pre with a tone control and an output to a cutting lathe to record direct to disc. I still use it sometimes but try to save the tubes. I think I first used it on either Cake or Marc Eitzel. Pretty cool!!! I have a great of pair of Helios Type69 modules that are originally from a desk at Island Studios in London. I purchased the modules from Steve Winwood’s tech in the late 90’s. Given the origin of these modules it is likely that they were used on recordings including Bob Marley, The Eagles, Led Zeppelin, Black Sabbath, and Genesis to name a few… I’ve personally used them on records for Tom Waits, Kings of Leon, Josh Ritter, Langhorne Slim, and others. Oldest piece of gear is a Complex Limiter I got from Sigma Sound Studios in 1988. They owed me some money (the newer owners, not the Tasia’s) and paid me with the Compex and an old homemade unit called the Castle Phaser III. We all know and love the Compex. (I’m selling it because I don’t use it anymore, so if someone’s interested I’ll give a good price) The Castle Phaser III is just screwed into the bottom of my rack. I haven’t used it in years. It’s super finicky, one time I hunted down the maker, who was surprised and said he made those in his spare time out of his garage in New Jersey. Anyway, it’s a ridiculously fun unit, crazy deep phasing/flanging. I have to admit, the old gear sounds great, but maintaining the stuff is a full-time job. There just aren’t a lot of technicians out there who know how to deal with this stuff. Now I’m a big advocate of Chandler Ltd, Retro, Cranesong, Pendulum Audio and the like because it never goes down. Works day after day; consistently and never needs much attention. 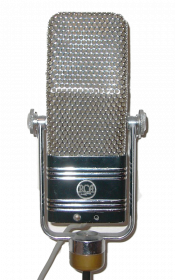 I think my oldest piece of recording gear is a 1960’s AKG D19 microphone. I bought from a friend without hearing it, he didn’t use it because it had extremely low output. When I tried to use it, I discovered he was absolutely right!! So me being the inquisitive guy I am, I went ahead and took it apart to try to fix it. Bad idea. When I put it back together it was completely dead! I was determined to get it repaired. 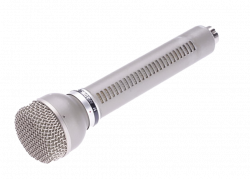 Through a few chat rooms/forums I got the name of a guy in Switzerland who repairs old AKG dynamic mics and makes steel drums, yes, musical steel drums! He turned out to be an amazing wealth of history and knowledge about the D19 - types of diaphragms used, history of the mic, AKG vs OEM versions, etc. I sent him the mic, and he wrote me with bad news. The diaphragm was damaged (probably my doing) and they are not made anymore. But at one point he tried to make his own, and he had two left from the run he did. I told him it was OK to use his. In the end, it sounds like the best D19’s I’ve ever heard, and it is used all the time on drums, acoustic guitars, and anywhere else I need a midrange-y, wood-y tone. 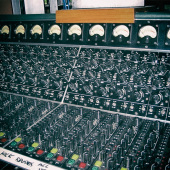 My oldest piece of gear, and still one of the most used pieces of gear at my studio, is the Ramsa mixing board. Now it has become a side cart with 4-channels totally recapped, a new power supply, and a lot of modifications. It was originally a 20-channel board that I had for a very long time. I love it so much, especially on drums, and I still use it today. If you look at any video or any photo of me in my studio it is attached to the right side of the rack.